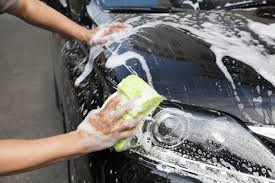 Mohammed Chado, a car wash attendant, has been arrested by the Police in Abuja, allegedly for selling a Year 2000 model of Toyota Camry that a client had asked him to wash. The suspect, who was working at a car wash outlet in Apo, Abuja, allegedly made away with the car and sold it for N450,000 which he reportedly used to marry a wife. Chado, 29, was among the 40 crime suspects paraded on Wednesday by the Commissioner of Police, Federal Capital Territory, Sadiq Bello. The Police boss said, “Chado was arrested at Batafe village in Niger State where he was hiding after he sold a Toyota Camry 2000 model that was given to him for washing. Chado, in an interview, explained that he spent N300,000 on his wedding and expended the balance on feeding and other needs. Giving a summary of arms recovered from the other crime suspects, Punch reports that the Police boss said they include 38 English pump action guns; 13 dane guns; one fabricated revolver; 25 fabricated modified pump action; one double-barrelled gun and 22 cartridges. Other exhibits allegedly recovered are 11 vehicles, three cutlasses; eight fabricated pistols; nine television sets; one desktop monitor; three knives, and one toy gun.